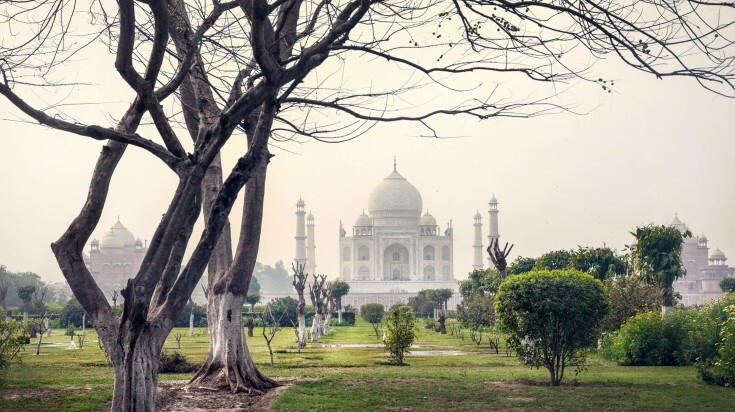 The city of Agra is one of the three cities that make up the famous Golden Triangle tour in India, making it a must-visit destination by default. Taj Mahal — one of the seven wonders of the world and a site no traveler to India wants to skip, is housed in the city. And while the Taj is undoubtedly the biggest attraction in Agra, there is more to the city than just the masterpiece. 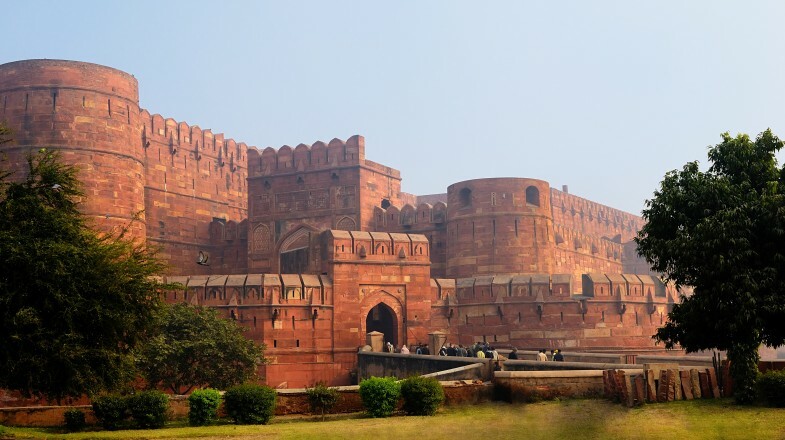 Located just next to the Taj Mahal, the Agra Fort (pictured above) is often overshadowed by its popularity. Made of red sandstone from Rajasthan, hence nicknamed “The Red Fort”, the fort is a grand depiction of Mughal power and prowess. Walk through courtyard after courtyard of this fort-turned-palace to be amazed by its architectural brilliance. 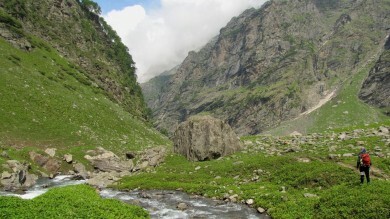 It is said that the fort used to have 500 buildings during its height. Today, visitors can see Jahangir Palace, Shish Mahal, 2 mosques, and some of the audience halls and inner courtyards. 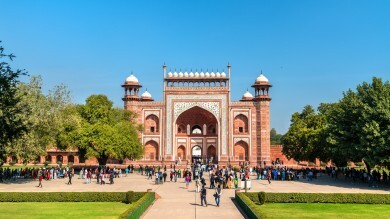 First built by Akbar, the fort was expanded and completed by Shah Jahan, who spent his last days in the fort gazing upon Taj Mahal where his beloved wife rests. Good to know: Open 6:00 – 18:00, with general tickets at USD 8* (free entrance for 15 years old and below). Tip: Look for elevated balconies that give a great view of the Taj Mahal. Once the capital of Mughal empire, Fatehpur Sikri is today a well-preserved ghost town. Located 40 kilometers from Agra, the grand fortified city was built by Akbar in honor of Shaikh Salim Chishti, a Sufi saint who had predicted the birth of the emperor’s long-wished-for heir. 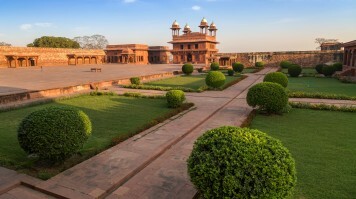 Divided into two different sections — Fatehpur and Sikri, the entire complex, in true Akbar-style, is made of red sandstone. Fatehpur houses Jama Masjid, one of the biggest mosques in India, and the white-marbled tomb of Salim Chishti. The entry to this section is via the 17th century imperial gate, Buland Darwaza, which is a sight in itself. 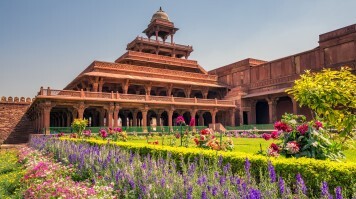 Sikri is home to other fantastic highlights of the visit, including the immaculately carved palace complex, Diwan-e-Khas (a hallroom) the 5-storied Panch Mahal palace, Jodha Bai palace, and Hiran Minar (minaret). Good to know: Open from 6:00 – 18:00, tickets are only required for Sikri and cost USD 8*. Tip: Be wary of hawkers, beggars, and even scammers in the area. Located just across the Yamuna river from the Taj, is a tomb dedicated to a statesman who acted as the treasurer of Akbar. A Persian exile, Mirza Ghiyas Beg was the grandfather of Mumtaz Mahal and was honored with the title ‘Itmad-Ud Daulah’ meaning ‘Pillar of the State’. One of the first tombs to made from white marble, it is believed that the mausoleum was used as a draft for the Taj Mahal. Hence, it is often called the ‘Baby Taj Mahal’. Set amidst the serenity of a beautiful garden, this jewel-box-structured tomb is worth exploring. The intricacies of its interiors and over-all design is a beauty to marvel at. Something to look forward to is its white marble walls that are encrusted with semi-precious stones like topaz and onyx and adorned with fine inlays of geometric patterns and flowers. Visitors will especially enjoy the less-crowded ambience of its setting. Good to know: Open from 6:00 to 17:30 for only USD 3* per person. Tip: From the backside of the tomb, visitors will be treated to a nice view of the Yamuna river and Agra. The great ruler Akbar has been attributed to building one of the best places to visit in Agra and it is just as important to visit his mausoleum. 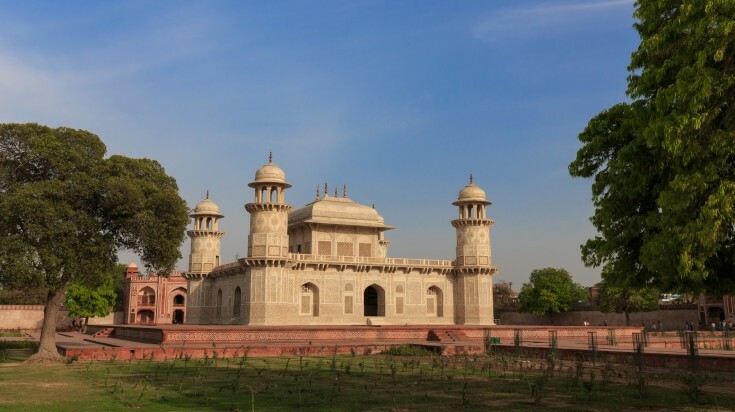 Akbar’s tomb lies in the city of Sikandra, 10 kilometers from Agra and like most of the Mughal structures is a blend of Hindu and Islamic architectural styles. 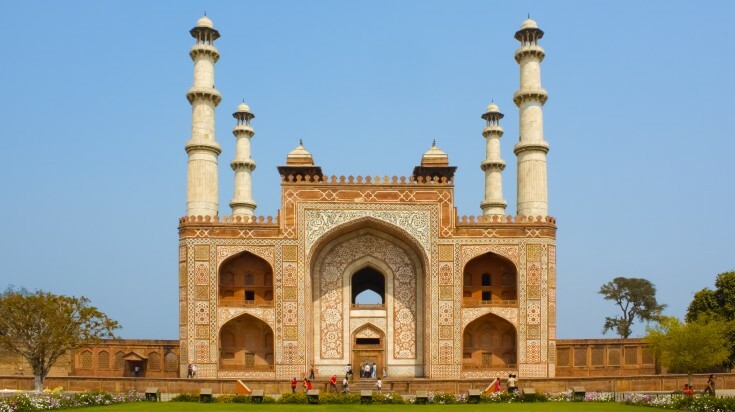 Akbar chose the exact spot of his mausoleum and initiated its construction while he lived. It was his son who completed his tomb later. The red sandstone structure is decorated with white marble inlay works and amidst a well-maintained garden looks splendid. Travelers enter to the mausoleum’s courtyard through marvelous imposing gate, with its huge archway and four minarets. Many find the gate grander than the tomb, and the entire attraction less daunting than the rather crowded Taj Mahal. Good to know: Open seven days a week, from 6:00 – 18:00. Tickets cost USD 3*. Tip: There are monkeys in the courtyard, so be careful with your valuables, especially if you have food in your bag. Want to get the money shot for Taj Mahal? Get across the Yamuna river and get that shot from the best viewing spot of the Taj — Mehtab Bagh. First constructed by Babur as one of the series of gardens along the banks of the river, Shah Jahan completed it as a garden for viewing Taj Mahal. He planned it following the Persian layout with white walkways, reflecting pools, large fountains, and air pavilions. Shah Jahan wanted fruit trees bearing colorful flowers that will shine under the moonlight, hence the name Mehtab Bagh or ‘Moonlight Garden’. Visitors can stroll through the garden and enjoy the view of the Taj from a different perspective. Good to know: Open daily from 6:00 – 18:00 for USD 3*. Tip: Come here for sunset views of Taj Mahal. Take a different route from the tourist highlights of Agra and visit a quaint and humble café only a block away from Taj Mahal. Sheroes Hangout is manned by 5 women who are survivors of acid attacks — one of the top gender-related violence in India. The menu is unassuming and simple yet the story and the women behind set this cafe apart from the rest. Visit the café for a quick bite and to take a break from the tours. The cafe also features a boutique apparel and handicraft stores all made by acid attack survivors. You will be helping empower some of the survivors by doing so. Good to know: Open from 10:00 – 21:30. Tip: Get their bestsellers — pasta and burger. From a hopeless romantic’s point of view to those who love intricate works of art, all of the things to visit in Agra will leave lasting impressions. Celebrate love, grandeur, and art with Agra’s top attractions.